The Workers’ Party is an all-island party, and has a long and proud track record of opposing sectarianism in Northern Ireland and promoting the unity and interests of working people of all religions and none. For years, our programme was summed up in the slogan, “Peace, Work, Democracy and Class Politics”. Though the people of Northern Ireland have peace, there is insufficient democracy, little work, and the need for class politics remains as strong as ever. Today, the Workers’ Party offers socialism as the alternative to the divisive politics of unionism and nationalism, and the right-wing economic policies of the Northern Ireland Executive that will devastate public services and the public sector, cutting 20,000 jobs and taking hundreds of millions of pounds from the public purse and working people to boost the profits of multinational corporations seeking a new tax haven. 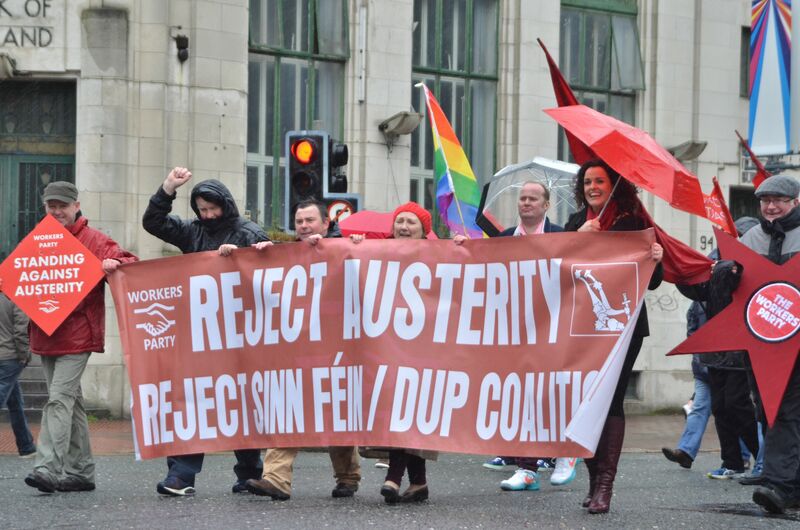 Despite the rhetoric from the Executive parties, these cuts are made in Belfast, not dictated from London. In this election, the Workers’ Party stands for the socialist alternative across all of Ireland. The Workers’ Party demands that the Irish government use its influence to promote policies that break down barriers among our people, not reinforce them. A vote for the Workers’ Party is a vote to build a better future for the people of Ireland, north and south; for an end to sectarian politics and austerity; and to place the interests of workers first, with an economic programme designed to create sustainable, high-quality jobs. A strong showing for the Workers’ Party in this election will be a powerful boost to anti-sectarian, secular, socialist politics throughout the island.